Oh that’s right, the train ride back to Berlin. 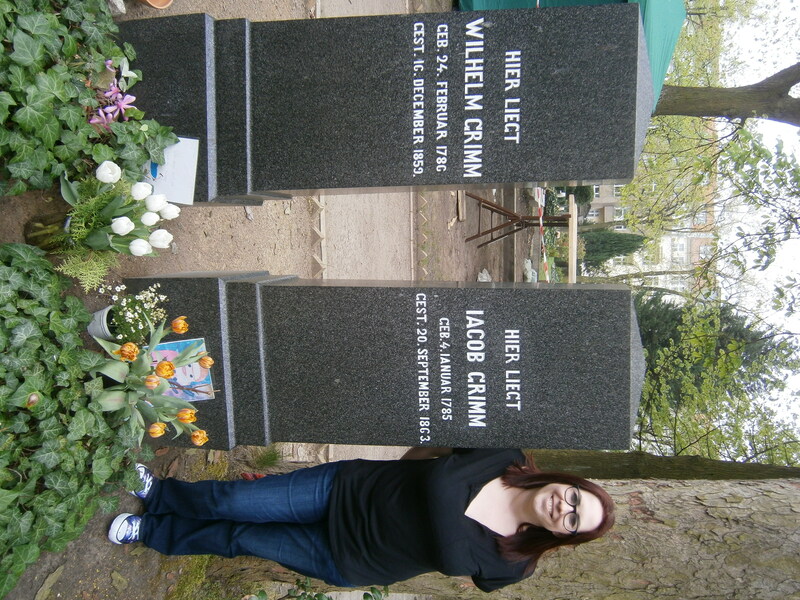 Yes indeed those are the Brothers Grimm, librarian/fairy tale collector extraordinaires. 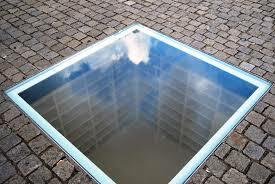 And a memorial to the Empty Library which includes a glass cut square below the platz that depicts empty shelves. 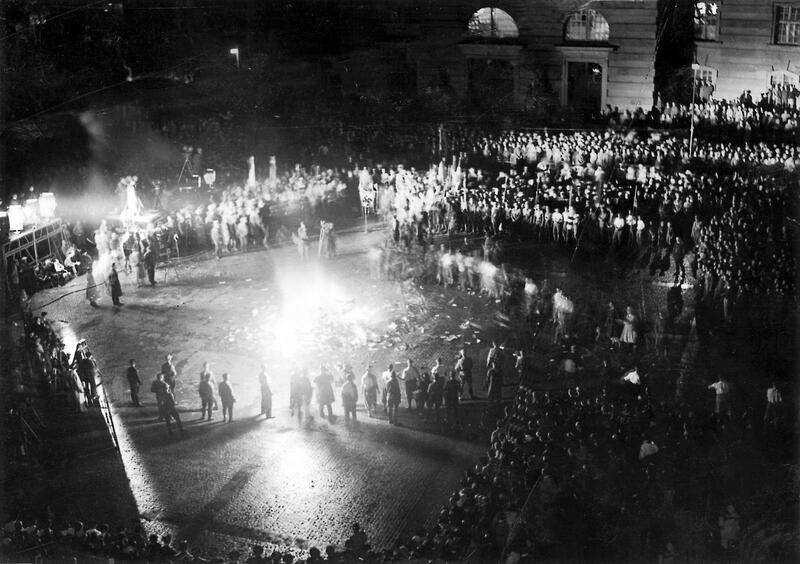 The Nazi’s burned around 20,000 books, including books by Heinrich Mann, Karl Marx and Albert Einstein. 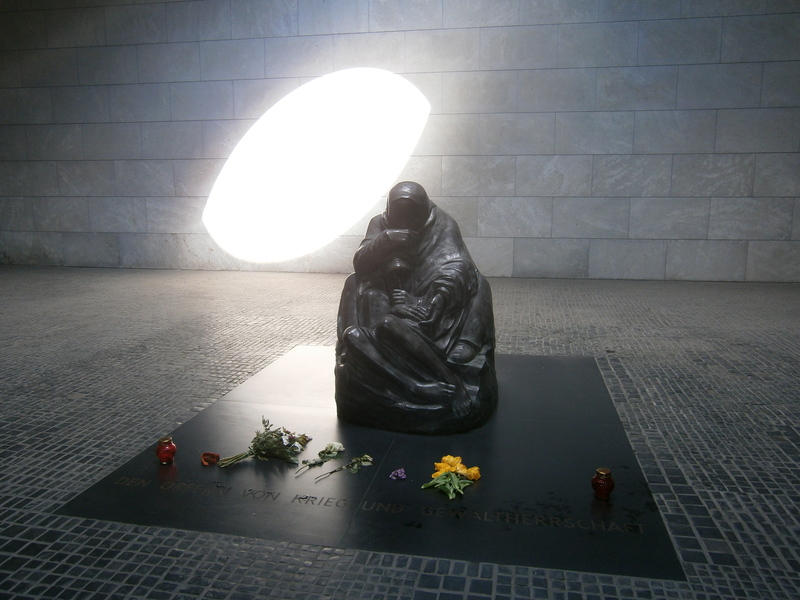 At the Neue Wache up on Museum Island we found this chilling memorial by Käthe Kollwitz entitled Mother with her Dead Son. The memorial includes the remains of an unknown soldier and a nameless concentration camp victim. 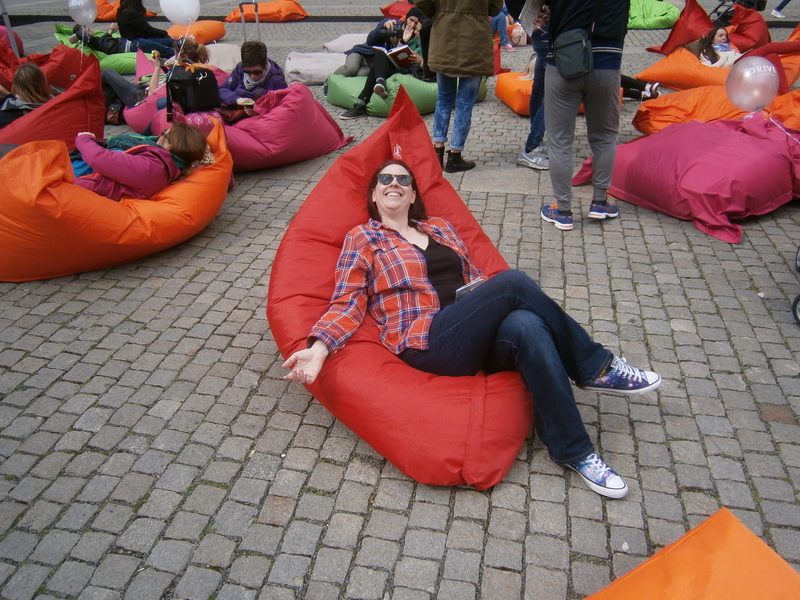 My birthday, May 1st is also May Day in Europe – a massive spring celebration. 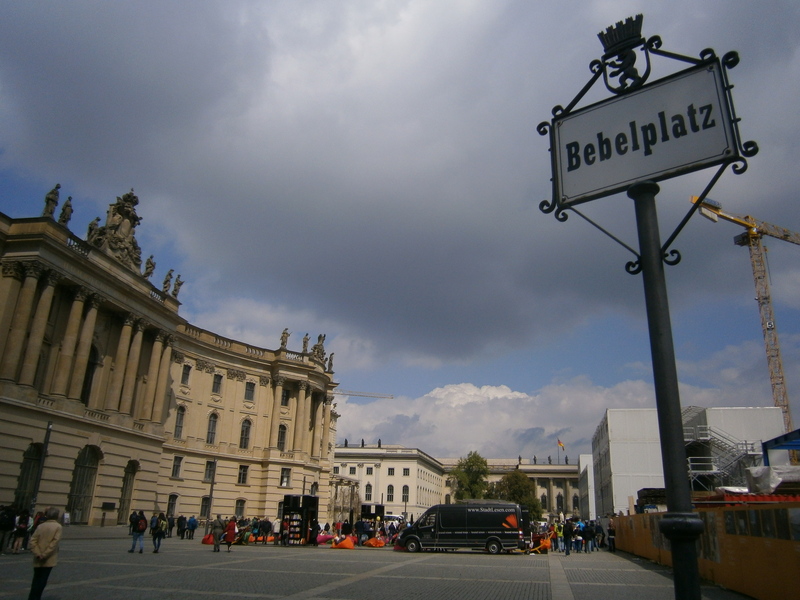 In Berlin it’s also a time of protest. 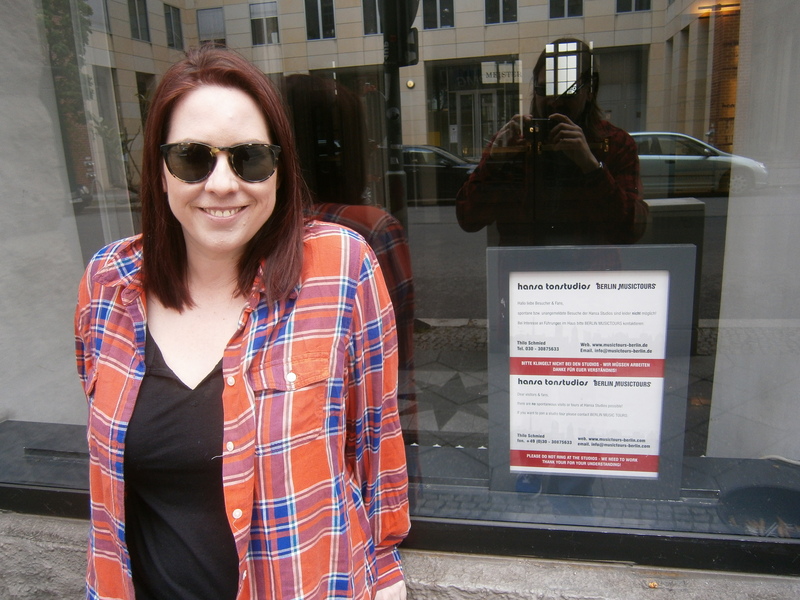 We had heard about how great Kreuzberg was and the day before my birthday headed out there to see the East Side Gallery (a long segment of the graffiti wall) and have the most amazing burger at Kreuzburger (seriously if you’re ever there you have to try this place). So we figured for my birthday we’d head back that way. 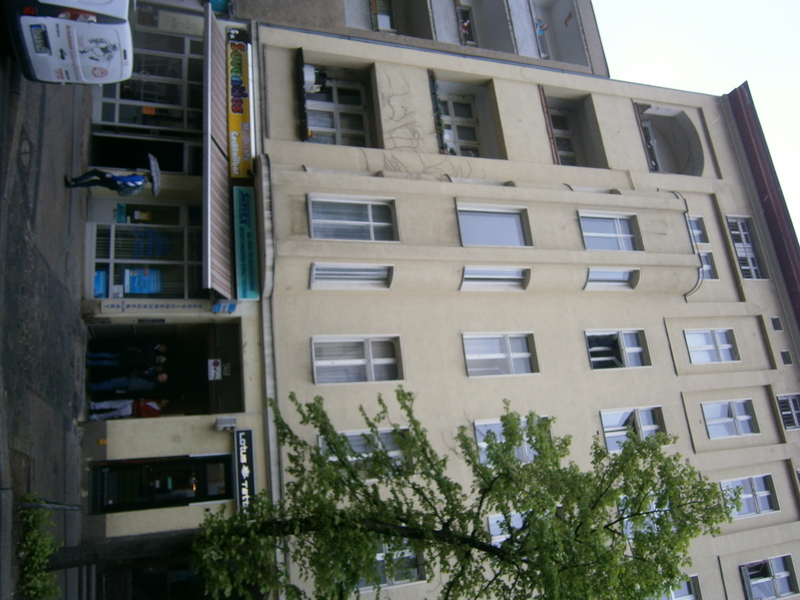 Kreuzberg (surprise!) is also home to some of the most famous and violent police and demonstrator clashes on May Day. As the elevated subway pulled into the neighborhood, there were THRONGS of people. And by throngs I mean thousands and thousands of people. We could barely get out of the subway station, which the police were blocking to prevent overcrowding on the platform (I think). The crowds had a penchant for 90’s rap. I’m not kidding. We heard Snoop Doggy Dog. The feeling was intense, electric. Standing amongst them, aside from feeling incredible old, I couldn’t help but realize that this is what political activism can look like. 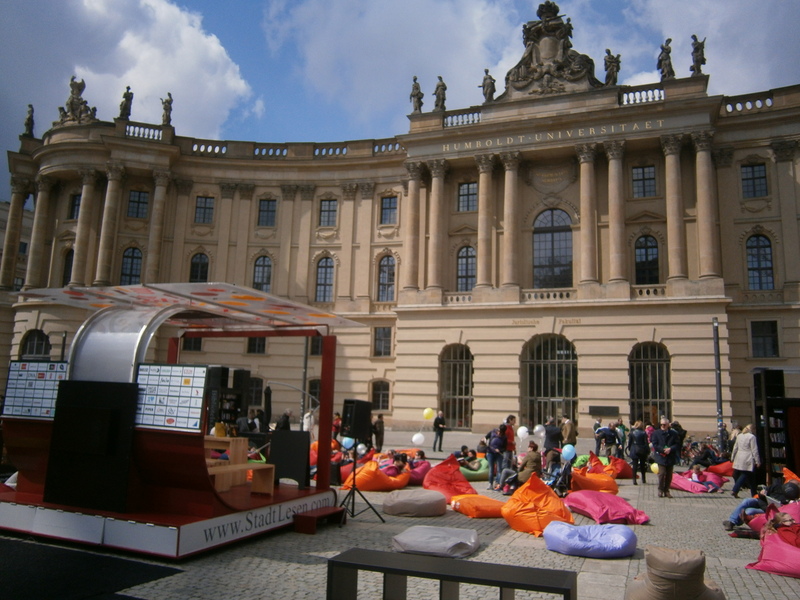 That after Nazism and Communism Berlin is still making herself over and it’s being done by the young people. It’s vital. I would love to see how this city is going to transform itself over the next 25 years. I didn’t shoot this film but it is from May Day, 2015 in Kreuzberg. From Berlin, we took the train south to Leipzig. 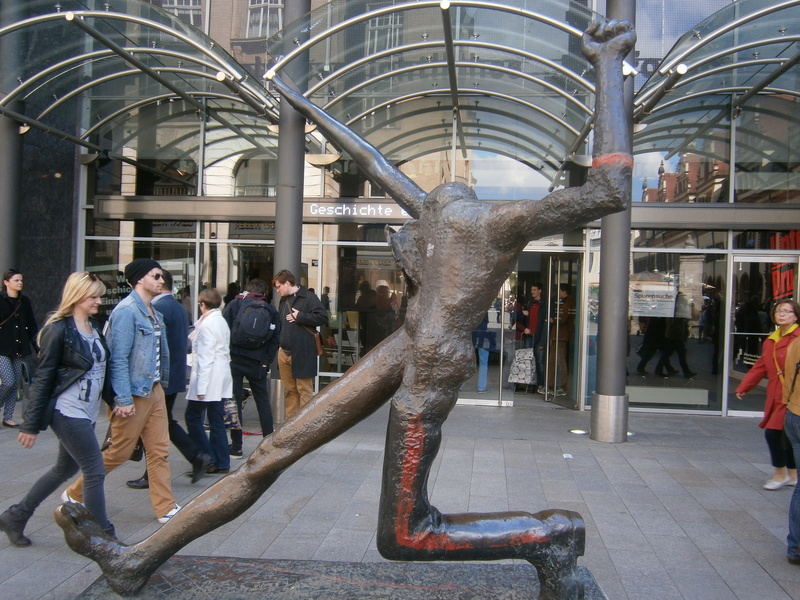 Bizarre sculpture depicting life under Nazism and then Communism. 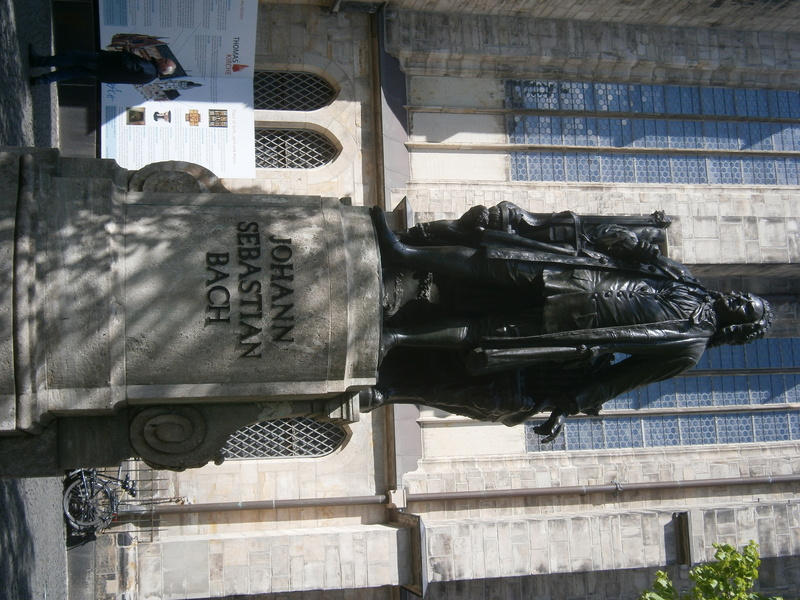 Leipzig is Bach-land. 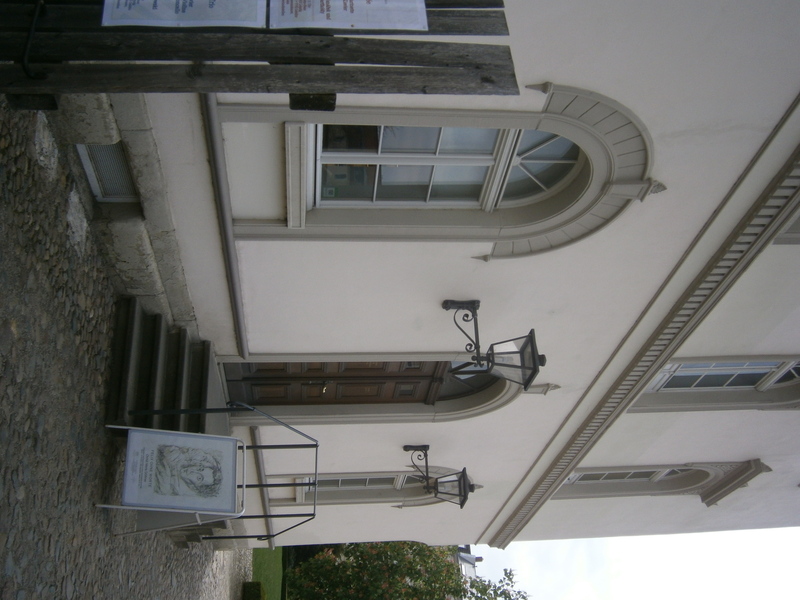 Bach lived and worked in Leipzig, raising a considerable family and caring for the choirboys at St. Thomas Church where he was Kappelmeister. 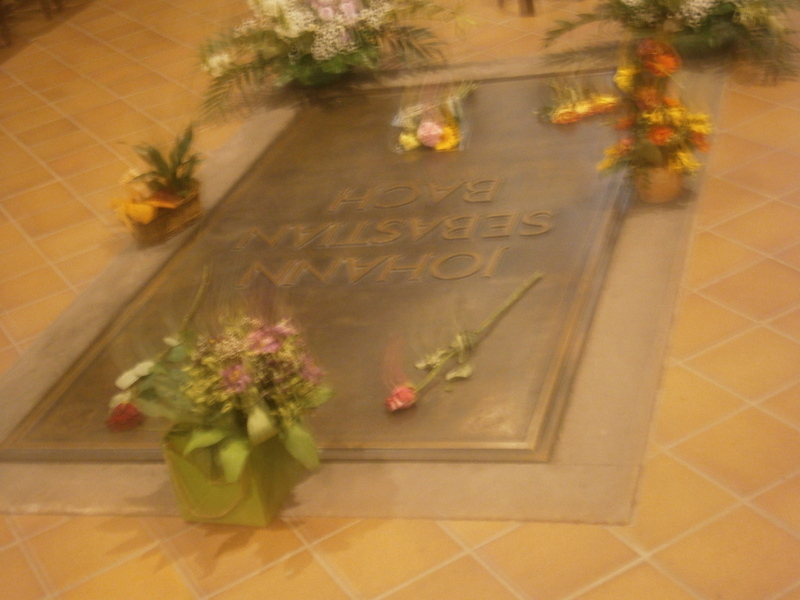 He’s buried inside the church. 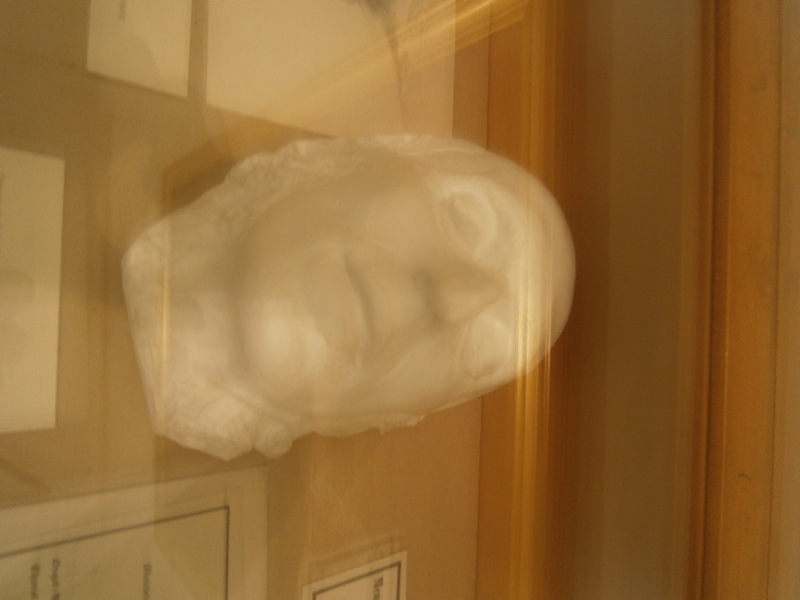 which included his DEATH MASK! After he died, Wagner being a massive anti-Semite started trash talking Felix. The idea that he was a lesser composer took root and by the time the Nazi’s were in power, Felix was all but wiped off the books. The statue that had been erected for him was melted down. 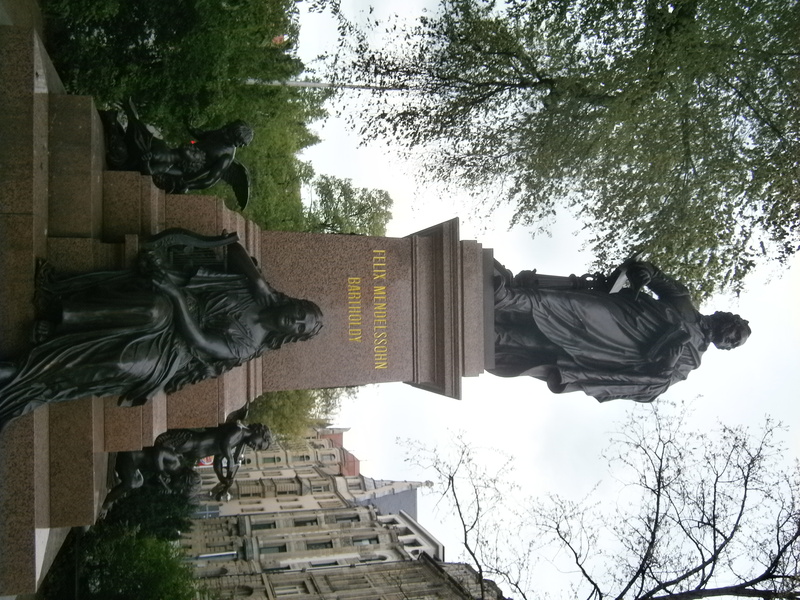 It took until 2008 for a replacement to be erected. And the morning that we were scheduled to leave Leipzig for Prague (and then from Prague back to Berlin to fly to NYC) the Germans decided to have a major transit strike, thereby shutting down the Deutsche Bahn for 10 days. 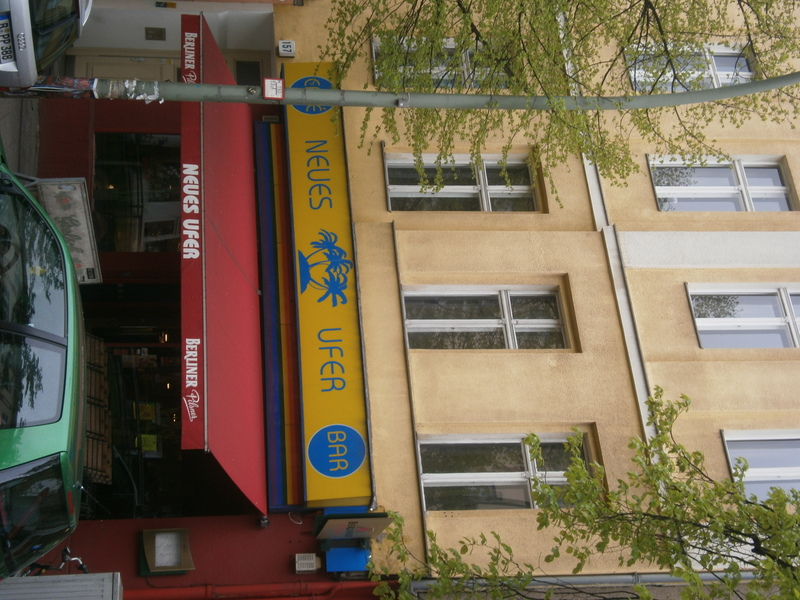 Which meant if we went to Prague we could feasibly not have a way back to Berlin to fly home. So naturally we went to Prague. Part 3 coming up next…..